A bad-sounding or badly made cable can ruin any musician’s day. Or night. Or gig. Or studio session. Though we’re in an age where many musicians don’t take any part of their rigs for granted, cabling can be one of those components that not many players pay much attention to until they have one fail or experience the difference between a good cable and a great cable. We here at TheToneKing.com recently had the opportunity to check out some really great cables for ourselves from Analysis Plus. The folks at Analysis Plus are problems solvers (see video below), and at the behest of a major cable manufacturer they used computer modeling technology to observe an analyze the way different frequencies flow through audio cables. In the course of their work, they discovered that the conventional wisdom about cables was all wrong. Without getting too technical here, their modeling work showed that hollow oval cable benefited the way current is distributed and provided superior performance over traditional round cable. Analysis Plus’ website has a great explanation and graphic demonstration of this concept here, but in a nutshell, a hollow oval cable design uses the conductor material much more efficiently, which translates into lower resistance, which translates further into a better quality signal overall. Now, sometimes it’s tempting to let science tell us what we’re supposed to hear. We hook things up to oscilloscopes and DAWs and try to pick out bits and pieces of peaks and troughs in an audio signal to tell us what we’re hearing. But this writer would offer that at the end of the day most people, and musicians especially, ultimately hear with their ears, not their eyes. 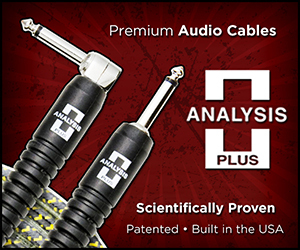 Analysis Plus makes a great case for its cables in print, but how do they actually sound? To find out I decided I’d shoot things out, TTK-style. Analysis Plus generously supplied me with samples of their Genesis Pure and Yellow Oval instrument cables, in lengths of 12 and 15 feet respectively, to hear the benefits for myself. The Yellow Oval is advertised as heavy duty, solid cable that is great for players that need long lengths of cable for live or studio performance. The Genesis Pure, Analysis Plus’ most popular model, offers more traditional looks and lighter weight than the Yellow Oval, but utilizes the same technology as the Yellow Oval. contestant #2 was a fairly pricey, pro-endorsed, “boutique-esque” cable well-regarded for both sound quality and durability. My intent was simple: without worrying about the scope-gazing and frequency tweezing that Analysis Plus had already done on my behalf, can I hear a difference between the Analysis Plus specimens and the other two cables? Despite the fairly vast differences in their respective price points I had been basically satisfied with the general performance and durability of both cables, so I wasn’t really tossing a softball to Analysis Plus. My test guitar would be my trusty reissue Stratocaster, a guitar that has been at my side for nearly 27 years and possesses a sound and personality I know inside and out. I would run it straight into an Orange OR15 feeding a 1×12 Avatar cabinet loaded with a U.K.-made Celestion Heritage Series G12M greenback. 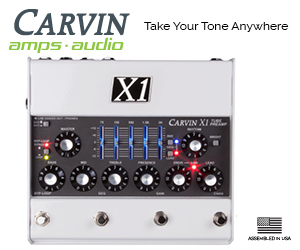 This rig sounds great and offers a wide range of dirty and clean tones, and any tonal differences would be immediately noticeable to me. But before even getting into the tones, the difference in feel and construction was evident from the get-go. The generic cable felt, well, generic. It had the typical latex-ish, shrinkwrap-style strain relief over a an adequate-looking quarter-inch plug, attached to a typical cable that felt “medium duty.” The premium cable definitely felt heftier and better-built, in line with its reputation, with high-quality plugs. The shrink-wrap was of the same plastic-y variety, but felt a bit more robust. Well, both the Genesis Pure and Yellow Oval smoked their competitors in this opening round. The Genesis Pure’s cable was even more robust than the premium cable, but still supple and flexible. The Yellow Oval is, quite simply, built like a tank. It’s got a strong, clear outer shell with an attractive woven inner sleeve that protects the working parts of the cable brilliantly. It feels like you could tow a trailered Boston Whaler with it. Both the Genesis Pure and Yellow Oval cables I received feature overmolded strain relief. Flimsy shrinkwrap strain relief this ain’t. Instead, it’s a chunky-yet-flexible molded strain relief that protects the critical area where the the cable terminates into the plug. It’s so thick that I almost thought it wouldn’t fit into the jackplate of my Strat, but my concerns were misplaced. It popped right in with room to spare. Both Analysis Plus cables were also completely noise-free, no matter the intensity with which they were swung and shaken and whipped around like a jump rope while plugged in. The premium cable lived up to it’s reputation here as well and while the generic cable actually did alright, it gave up an odd crackle here and there. In terms of sound, you’ve waited long enough, so I’ll get on with it. Both the Genesis Pure and Yellow Oval cables made a palpable, positive difference in my tone. With both cables, whether clean or dirty, I noticed a gentle but very distinguishable difference in the middle and upper frequencies. It wasn’t a simple boost or artificial hyping of the mids and highs; it was more detail and “airiness” across the entire frequency range that I believe had been lurking in my Strat all along now coming through. Each pickup selector setting gained even more distinction from the others; in fact, each pickup selector setting sounded even more distinct from the next than usual, along with enhanced sensitivity to volume knob adjustments and picking dynamics. If you use your volume knob to achieve different shades of grit and drive from your tube amp, fuzz, or overdrive pedals, the responsiveness of Analysis Plus cables will blow you away. Both my generic and premium cables still sounded fine, but it was clear to me that they were doing things to my tone that I wasn’t digging after plugging in with Analysis Plus. Both cables definitely lacked the granular detail and dynamic responsiveness the Analysis Plus cables were providing. To my ears, the premium cable exhibited a slightly drier tonal quality, while the generic cable lacked the smooth, musical midrange voice of both the Genesis Pure and the Yellow Oval. So, yeah. There is definitely a difference. The Yellow Oval and Genesis Pure both sound amazing. When putting samples head-to-head, I detected just a smidgen more clarity in the Yellow Oval, but both models were top notch in sound, performance and durability and you can’t really go wrong with either. In 2004, Guitar Player magazine deemed these cables “reference quality,” and it’s easy to see and hear why. The smooth flexibility of the Genesis Pure makes it a great choice for the stage, while the Yellow Ovals heft and clarity make it great for situations where the ultimate tonal detail is needed. I enjoy both and will continue to use them in every musical situation. I’m also going to check out Analysis Plus’ speaker cables and give my test rig the full-on AP treatment. 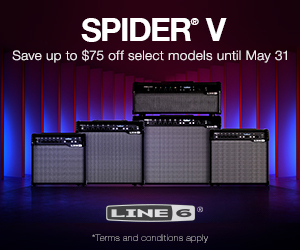 This isn’t all we here at TheToneKing.com have to say about Analysis Plus cables. In addition to the fantastic Genesis Pure and Yellow Oval cables, Analysis Plus also provided me with their Silver Oval Thin pedalboard cable kit. A great coincidence, since I was planning to re-wire my primary gigging and jamming board anyway. Look for the write-up and video feature on that product soon! In the meantime, here’s our Winter NAMM’16 coverage of Analysis Plus! Enjoy & Rock ON!